Yoga is seriously my favorite way to calm down after a stressful day. Sometimes making it to a yoga class just seems hard. Getting ready, driving there, and then having to drive home. But, what if you could follow along with an instructor that has a yoga YouTube channel in the comfort of your own? Did you know that people actually post full sequences on YouTube? No, seriously, they do. And, on top of that, they're free? Don't worry, I didn't know that either until like two years ago. It's crazy, but amazing all at the same time. But, YouTube does have these yoga sequences for free! Many instructors are wanting to share their love of yoga with women, men, and children all over the world. YouTube helps them to increase their reach. You never have to leave your house again or pay another monthly fee to a studio if you don't want to. If you do a search on YouTube for “Yoga for Beginners”, or something like that, you will get a plethora of results. Each one is likely a yoga sequence that you can do in your living room or even a hotel room. Some of these sequences I like more than others. So, lucky you, I'm going to share my favorite yoga youtube channels with you! I think most of the YouTube channels I've found have been through Instagram actually. If you can believe that. But, I can say that YouTube is an amazing place to find content though. You can literally find “how to” videos for anything you want (within reason I imagine). 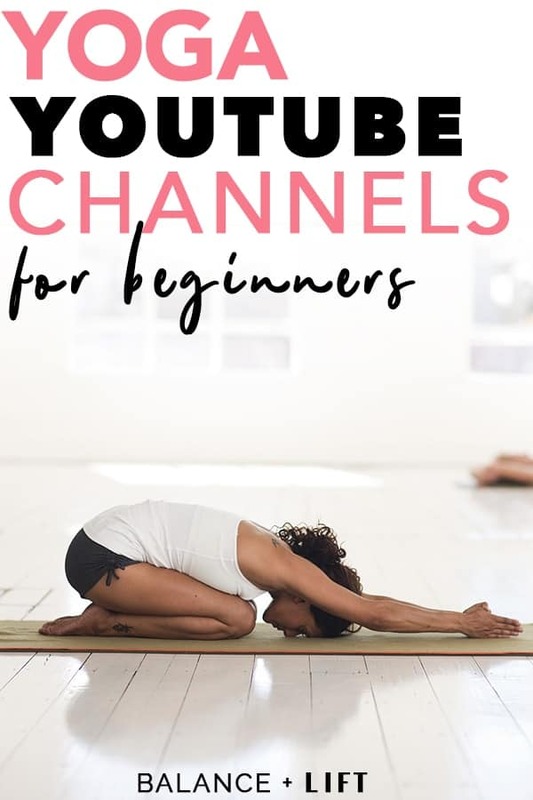 There are tons of yoga videos for beginners on YouTube, so if you don't find one at first that doesn't have crazy poses just keep looking. There are many that are strictly for beginners. You can find foundational yoga sequences that will help you build an at-home yoga practice. And, while there are many places to get instruction from yoga teachers (like Alo Moves) you can watch free yoga videos on YouTube. I mean, you can't beat that! 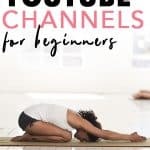 Why go somewhere else to practice yoga when you can practice along for FREE to videos on YouTube? Seems silly to me. Granted, if there's a particular instructor you're looking for, then I can see paying for something, but if you're not picky and just want to get your yoga on then YouTube is your place. I've found a few channels that I really love and I wanted to share them with you. 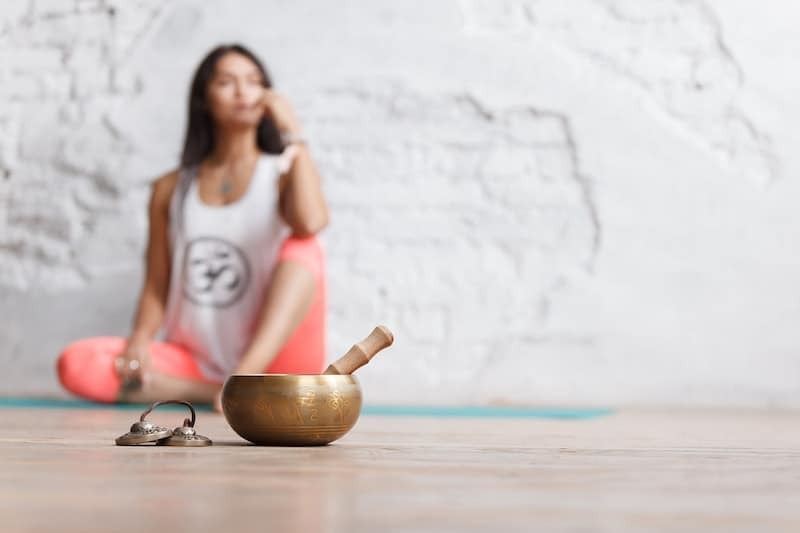 You might think different eventually, but I think these are the best YouTube channels for yoga. Feel free to search on your own, but I'm going to link my 5 favorite channels. Honestly, you don't need much to actually practice. A yoga mat and yourself is pretty much it. Many people will try to convince you that you need an elaborate setup, but honestly, just like working out regularly… all you need is your body. You don't really even need a mat. Does equipment help? Sure! But, it's not mandatory. It's merely helpful. I've seen people practice with a yoga blanket or a towel. Yoga mats weren't really around until like the 60's. Check out a video that talks about the history here. They aren't necessary, but it really helps when you're just starting your yoga practice. Having a block and a strap makes reaching the ground or your foot a whole lot easier. I was introduced to Adrienne's yoga channel about… maybe 9 months ago? This was about the time I discovered that you could watch yoga sessions on YouTube. I started following along with some of her beginner sequences and just loved them. She has the most popular yoga YouTube channel, and there's a reason why. These videos are filmed at a studio in Austin, TX. With sequences that range from beginner to advanced, you won't get bored if you practice with YOGATX. They'll help you progress through your practice and get you reaching for new goals. Check them out and start with a beginner video (like below) if you aren't sure where to start. One of the sweetest instructors on YouTube I've found is Brett Larkin. She's really sweet and wants to help people learn yoga without feeling like it's too hard or complicated. She makes sequences that are geared towards true beginners so they can learn yoga at their level without having to worry about getting into poses that are too hard for their level. Check her out and you'll fall in love immediately. Kino was one of my first yoga instructors (via video) and I still love her teaching to this day. I have a DVD I practice to from time to time when I am not flowing on my mat doing whatever. She is an Ashtanga yoga teacher from Miami and has traveled to Mysore, where she was certified to teach the Ashtanga method, many times. If you're wanting to learn how to practice the Ashtanga method, she's definitely the one to go to. But, she also teaches other flow styles as well on her YouTube channel. Adee's channel is really lovely. She has an entire series dedicated to beginners and it's awesome. On top of that, if you're an athlete, she also has sequences that are geared towards helping to relieve tension in certain areas. Give her channel a try and you won't be disappointed. Are you ready to start a home yoga practice?